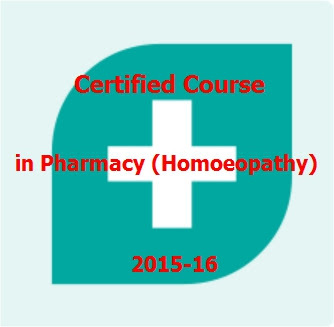 Application invited for Certificate Course Pharmacy (Homoeopathy) at Govt. Homoeopathy Medical College Calicut & Trivandrum, the two schools of homeopathy in Kerala under government sector. The tests are carried out by LBS centre for Science and Technology Palayam Thiruvananthapuram. Application : Apply online from July 7th 2015 onwards (Today) .Candidates shall visit www.lbscentre.in and click “Admission to certificate course in Pharmacy” 2015-16. Then click on the new candidates – fill the details. Then download three parts Chelan form – remit in any scheduled bank. After the remittance of fee, again visit this website, click on “Login/Fee remitted candidates”. Take a printout after completly filling the forms. Sir.. I have 90% Mark In SSLC. Is There Any Chance For Me For This Course? Sir, I have 90% mark in sslc . Is there any chance for me for this course? Sir,I have 87% mark in SSLC,then I have 66% mark in plus 2 VHSE.Is there any chance for me for this course?